Thread: Coral reef made the move! I was into the coral reef hobby for a number of years recently my job has made it hard to keep my 90 gal sps reef. I’ve been dying to get a new pet but could not decide on what. My girlfriend and I went to a reptile show and came home with 3 leopard geckos. We are hooked. It’s be fun learning to care for something new. We plan on also breeding our own super worms. This we can’t wait to get into this heavy. Been looking at different gecko and been trying to learn whatever we can. Any breeders on here from Michigan? Any advice will be appreciated as well! welcome to GU! we do have a reef subforum if you still keep any fish. What’s the name of it? I may already be a member. Lol I have a pico tank set up. I could never get completely out. Also what app does everyone use? I use “Tapatalk”, but I couldn’t find this form on there. Welcome! Are your new geckos all females? Are they together? those are some gorgeus geckos. It is not common for them too be kept together because males will fight if put together and females usally don't but even they can have a bad day. Good job on getting them separate tanks! to get to the subforum just go the main forum page scroll down to the "No Geckos Here" section and the aqautics subforum is the first one. Yes I’m currently looking for a male now. Who has the best super giants? 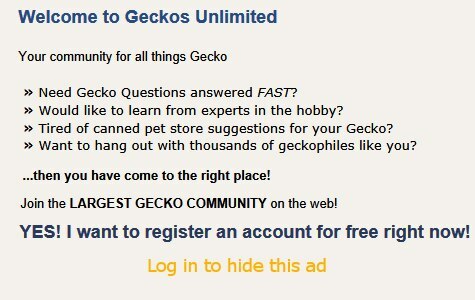 How do you ship geckos? Here's a link for possible networking within Michigan.